Conversion rate optimisation involves a scientific process to analyse and evaluate your ecommerce website in order to identify how customers relate to your product, brand and how they navigate on your site. Based on this data, a CRO strategist will develop a prioritised roadmap to address all core issues preventing your consumers from checking out. 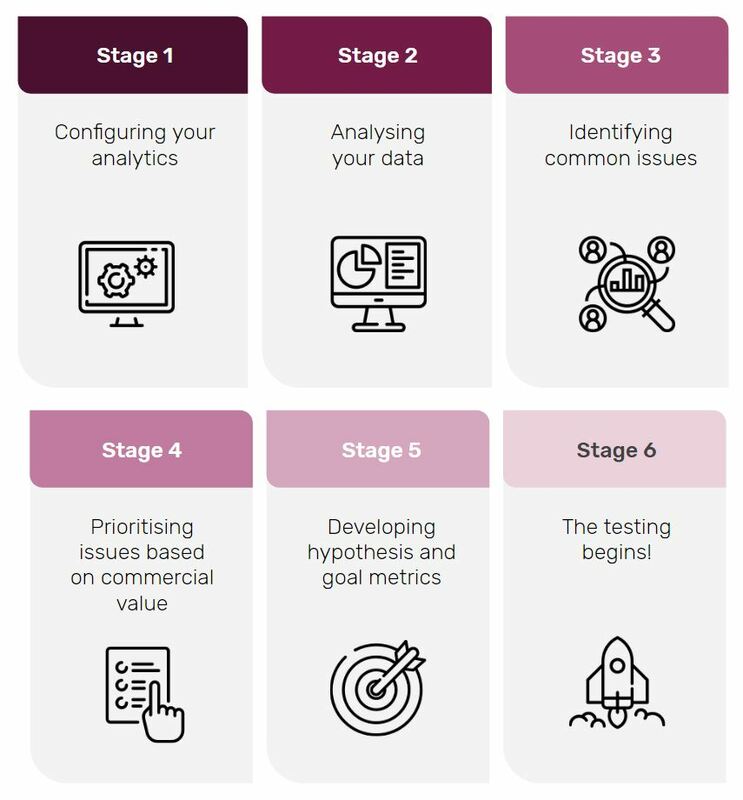 The next step would be to develop hypotheses to address each core issue and devise alternative design versions of the identified problem page(s) to A/B test which version gives your customers a better experience - and you an improved bottom line. User case reducing advertising cost per sale from $20 to $8, managing a single channel advertising budget of $15,000 per month. User case where we doubled the monthly revenue of our client within 3 months with both an improved average order value and conversion rate. User case where we doubled loyalty programme memberships within just 2 months of running the re-branded programme promotions. We also grew the conversion rate of newly signed-up programme members to exceed 13% conversion rate (from visit to sale within 14 days of sign-up) without lowering average order values.